Not sure where or how to start? No problem. We’ve got it all right here! Step-by-step instructions to get set up, trained up, and well on your way to Budget Town! All You Need Is 20 Minutes! Congratulations! Being ready and willing to dive into your finances with eyes wide open is at least half the battle! Now we want to get you up and running with your shiny, new budget, quick-like. It’s not hard (and the payoff is huge!) but it will require a moment of undivided attention and a little pre-game organization. We know it isn’t easy, but try and forget everything you think you know about budgeting. Don’t let any past experiences, assumptions, or perceived failures hold you back any further. 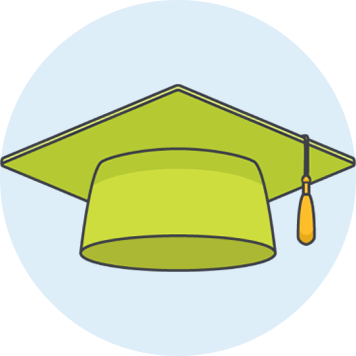 We can teach you a new way of thinking about your money and exactly how to be in total control of your money and your future. This is a clean slate. All zero-based budgeting really means is at any given moment you’re only working with money you have right now. Like actually in your bank account. Right now. Even if you know you’ll get paid in a week or a month, you won’t budget that money until it is actually in your possession. Every time you get paid, you will decide what those dollars need to do before you get paid again. 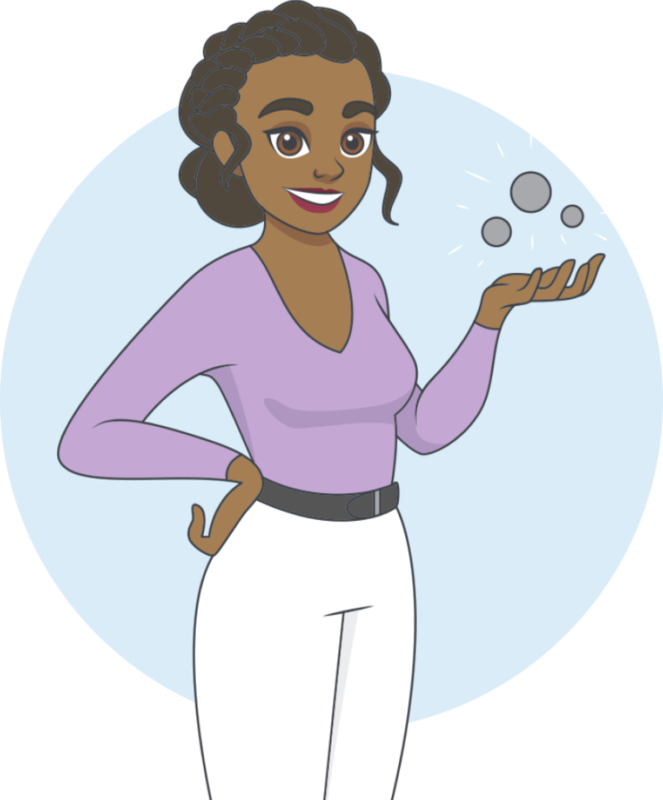 One of the reasons new budgeters are so successful with YNAB is because they create new habits. When you are intentional about making a detailed plan for what your money needs to do (before you spend it! ), every time you get paid—things start to change. A budget is simply a plan for how to spend your money, consisting of different categories which represent all the things you need to spend your money on now (think: mortgage/rent, bills, debt) and where you hope to spend your money in the future (vacation, new car, savings, thing-you’ve-always-dreamed-about). 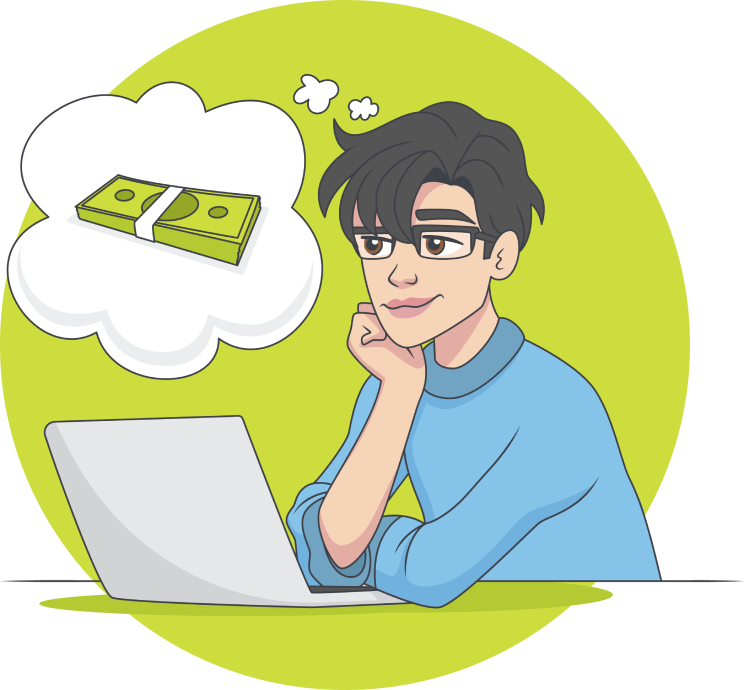 Budgeting is simply the act of thinking through what’s most important to you, assigning every dollar to the most appropriate category, and then using that plan to guide your spending. We aren’t here to tell you how to spend your money. We all have different priorities, circumstances, and goals. Spend a ridiculous amount on fill-in-the-blank hobby that no one understands? No judgement! You’re the boss of your money—so act like it! We will teach you to be in control and plan smart, so you can spend on the things that matter most to you without guilt, regret, or debt. Remember, your money is finite—each dollar can only do one job. Start by thinking about what you want most, what really makes you happy, and where you want to be in the future. This (and you know, your bills) will help you get crystal clear on where to put your dollars to work first. 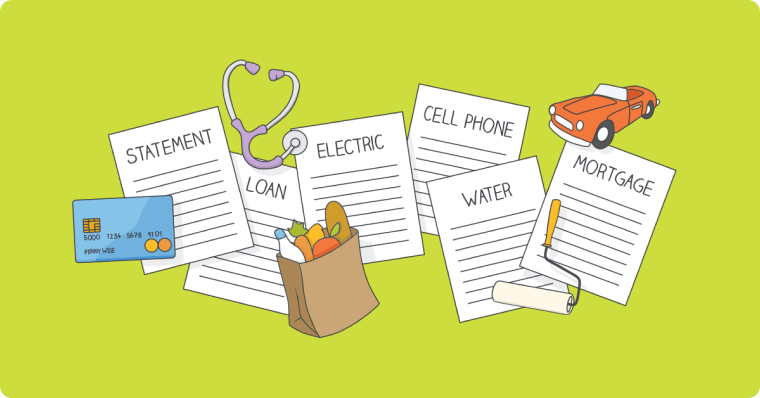 It’s pretty easy to tabulate your monthly expenses (shelter, food, internet), but when you don’t consider—and more importantly, plan for—the things you’ll need to pay for in the future, you will be perpetually stressed, living paycheck-to-paycheck, and always on the verge of going into (more) debt. Sound familiar? We’ll teach you to think about larger, less frequent expenses—the ones you know about and the ones you can’t anticipate—and treat them like monthly expenses. 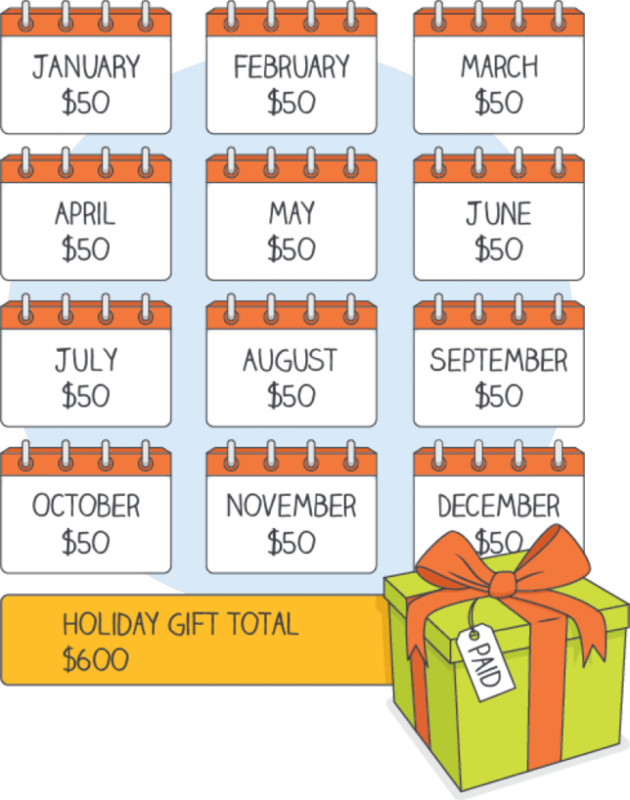 For instance, if you put $50 into a Christmas category every month, come December you’d have $600 dollars with only one job: to make the holidays awesome. No stress. No guilt. No credit cards. Start thinking about what larger, less frequent expenses might be on the horizon! 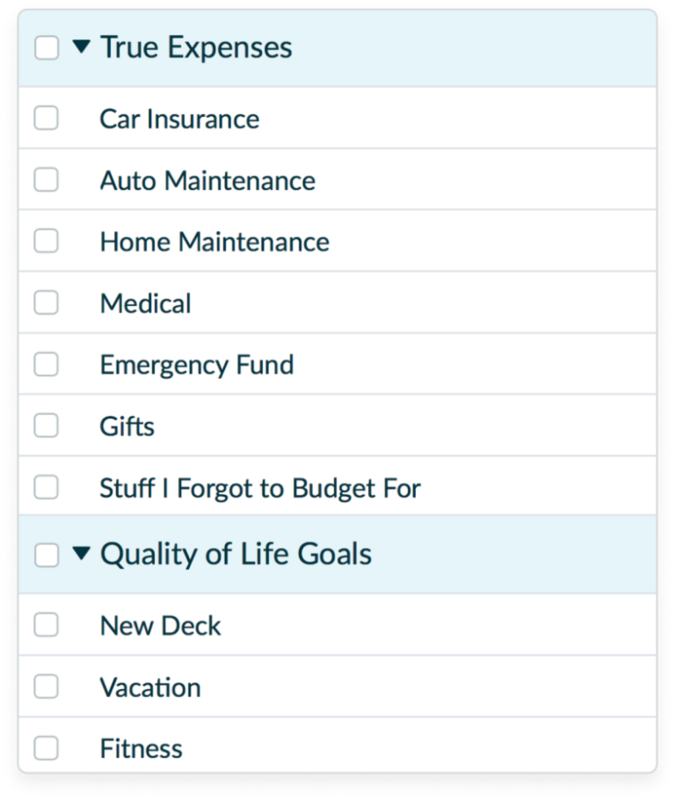 What seemingly far-off goals could you make a reality by treating them like monthly expenses? For most people this is a new concept or, at the very least, a new habit. And at first it might feel like you have less discretionary income each month. That’s because you have less discretionary income than you thought you had. If you’re only accounting for monthly expenses that are due every month, you’ve probably been unconsciously living beyond your means. No matter how well you plan—life happens. In fact, it happens every-single-month. If your circumstances or priorities change, then your budget should change to reflect your most current reality. 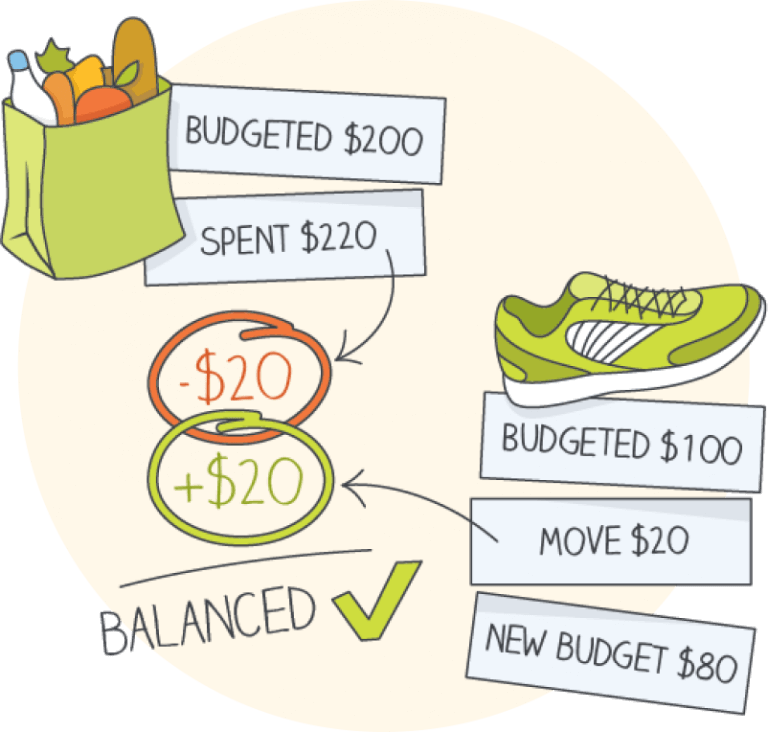 Adjusting your budget, shuffling the numbers around, reprioritizing—that’s budgeting! 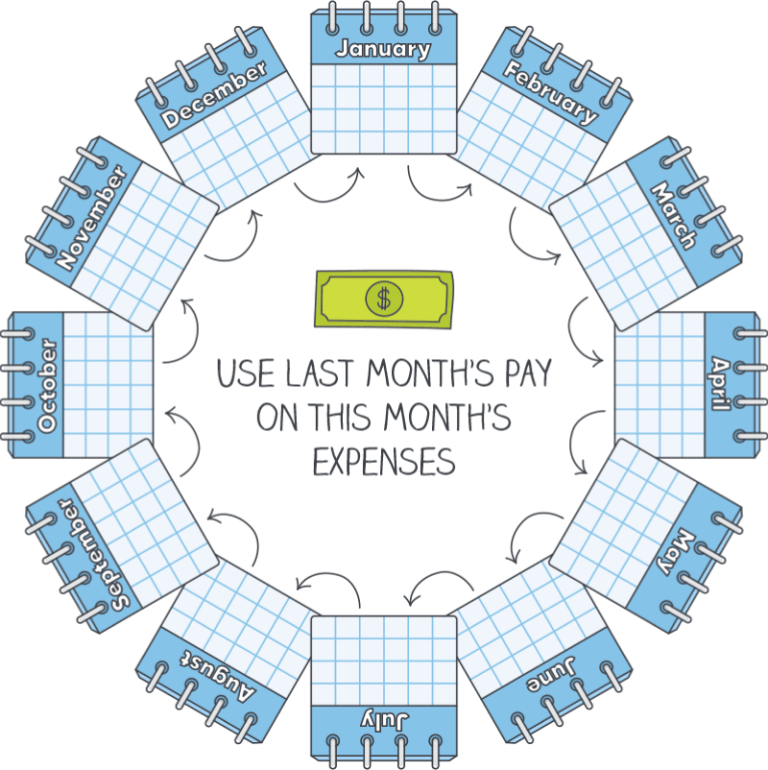 If you are changing your budget throughout the month, you’re doing it right! The power of a budget isn’t determined by how accurately you predicted every amount, but rather, your ability to adjust and stay on track. The longer you have a dollar before you need to spend it, the more secure you are (we call it “aging your money). 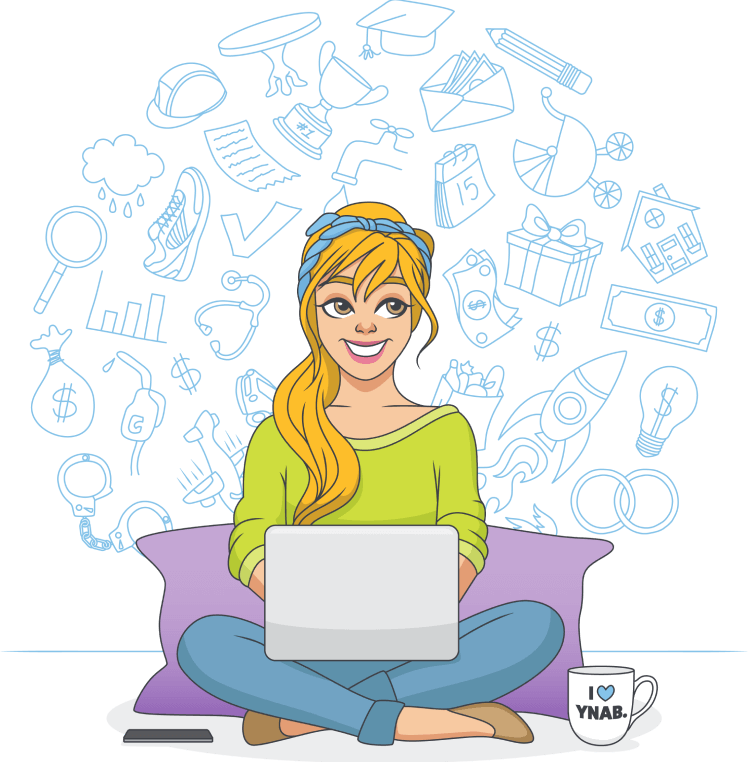 The ultimate goal is to get to a place where you are spending money that you earned at least 30 days ago, at which point, you’ve broken the paycheck-to-paycheck cycle. You’ll forget what day you get paid—because it won’t really matter. When a bill comes in, you’ll just pay it. No stress. This won’t happen overnight, but as long as you keep working your budget, little by little, you’ll get there—and you’ll never look back! Getting a month ahead can feel big and overwhelming, but don’t waste any energy worrying about it. Just focus on your budget day-to-day. Be ruthless about your priorities. Think hard about your true expenses. Use your budget to guide your spending and you will get ahead. OK—time to get you all set up! Remember, we’re only going to be budgeting with the money you have right now. 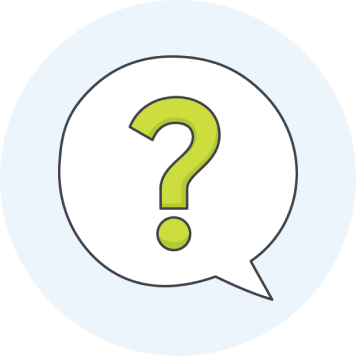 Before you can decide what categories you’ll need or how much money to assign to each category, we need to know how much we’re working with! 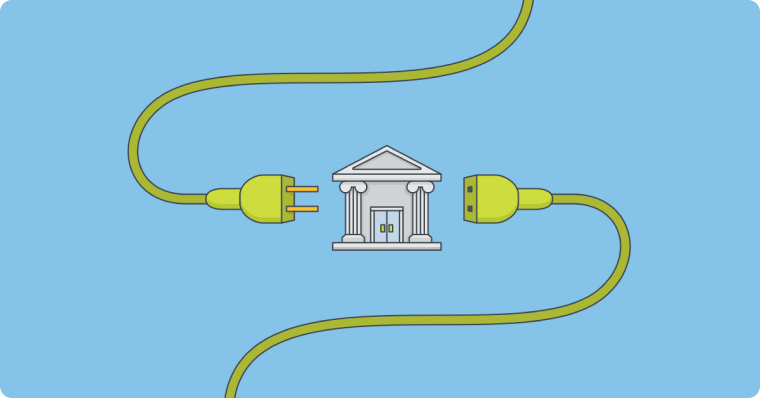 You have the option to connect your accounts (which allows YNAB to automatically pull in your information) or enter it manually. If you choose to connect your accounts, (we call it a “linked account”) choose Add Account and then Linked. 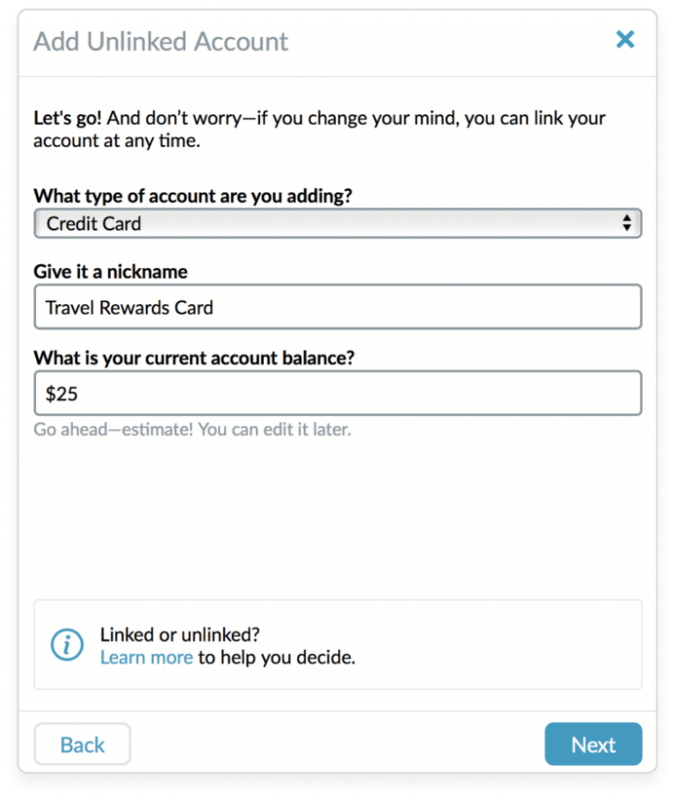 If you set up a linked account, YNAB will pull in the balance as of today, and all future transactions. 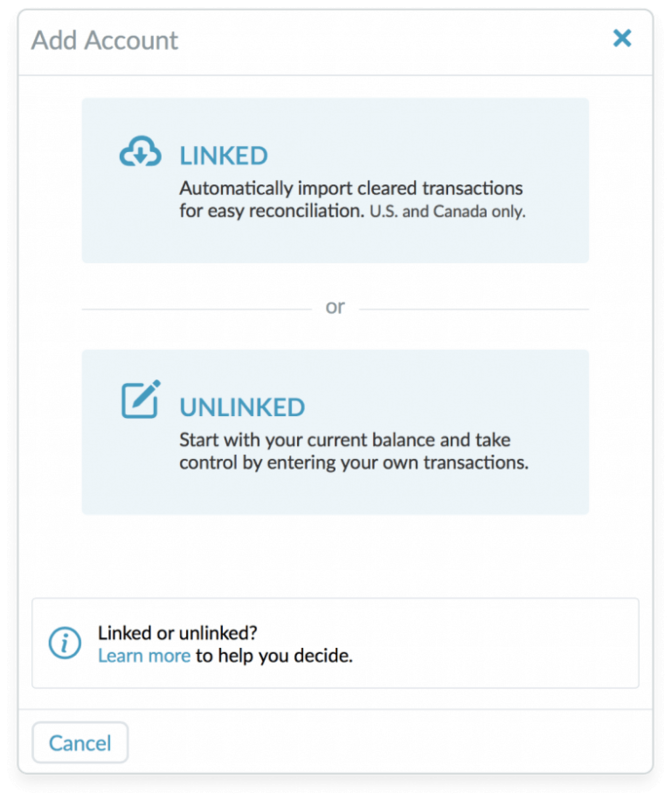 If you don’t want to connect directly to your bank, you can set up an “unlinked account”. Many YNABers prefer to set up unlinked accounts and enter their transactions manually. 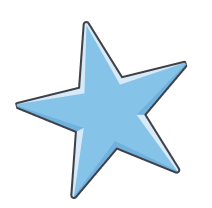 Remember, even if you choose unlinked now, you can always go back and connect your accounts later! If you only have one checking account—easy! If there are multiple accounts you spend from on a regular basis (you aren’t alone! ), follow these same steps, and add all of those accounts/balances now. 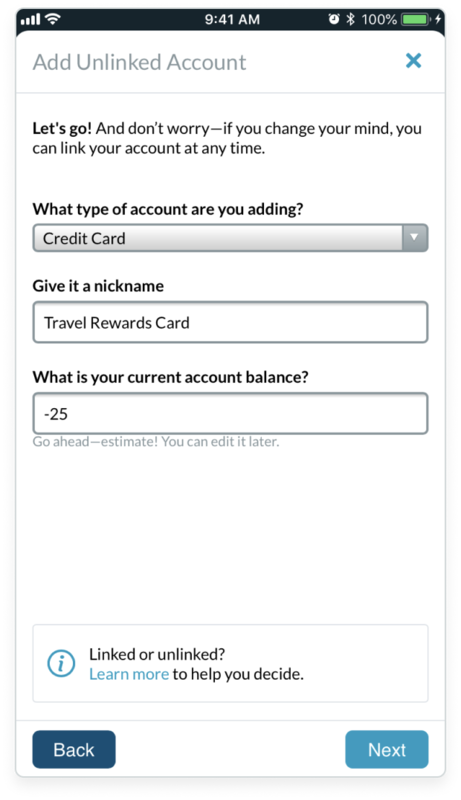 A lot of our users prefer credit cards for their primary spending accounts (hello, travel miles! ), and pay the bill in full each month. 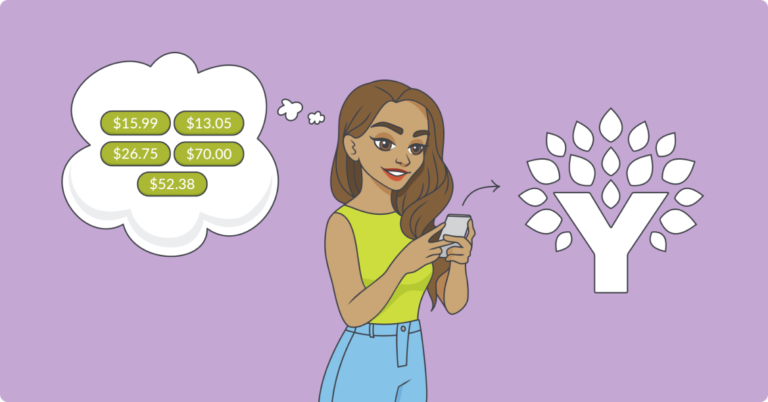 If you want YNAB to import these transactions automatically, you’ll want to connect your credit card accounts as well. Adding a credit card account is the same as adding a checking account, except you’ll need to choose Credit Card as the account type. 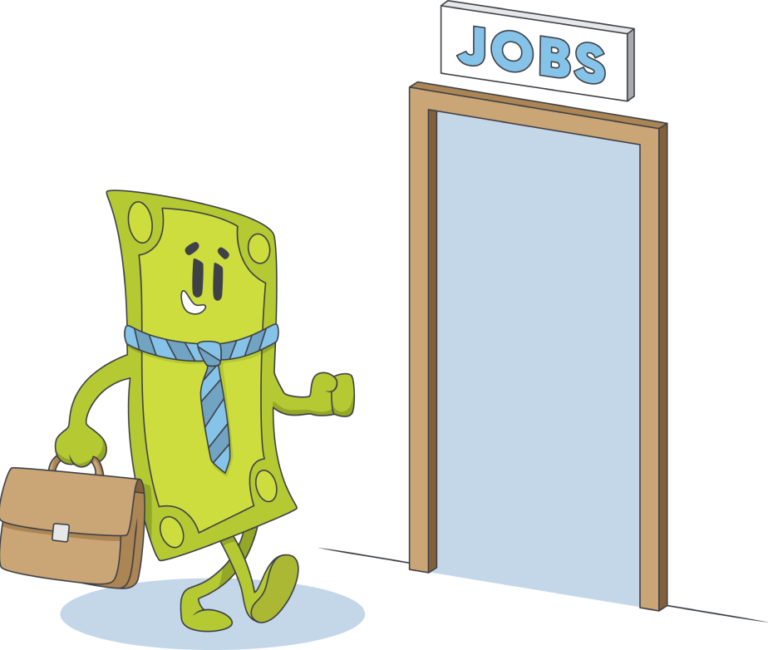 Your savings dollars need jobs too! Add your savings account the same way you added your checking account. If you add your savings account, the money will go into the total that you have to budget, but you still decide where to assign them. Ask yourself, “What am I saving for?” Emergency Fund? Vacation? New Deck? Great! 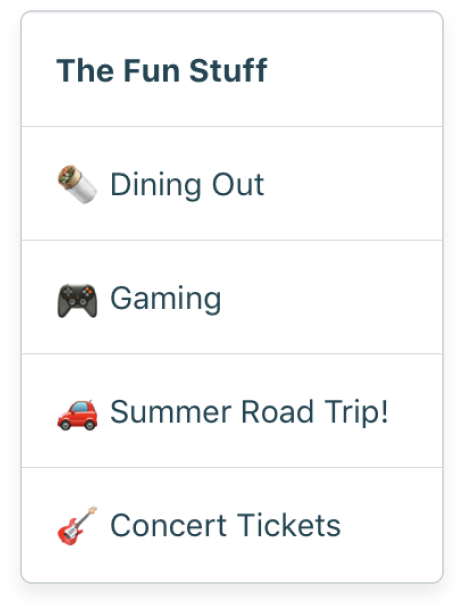 Add a category for those things and budget those dollars accordingly. 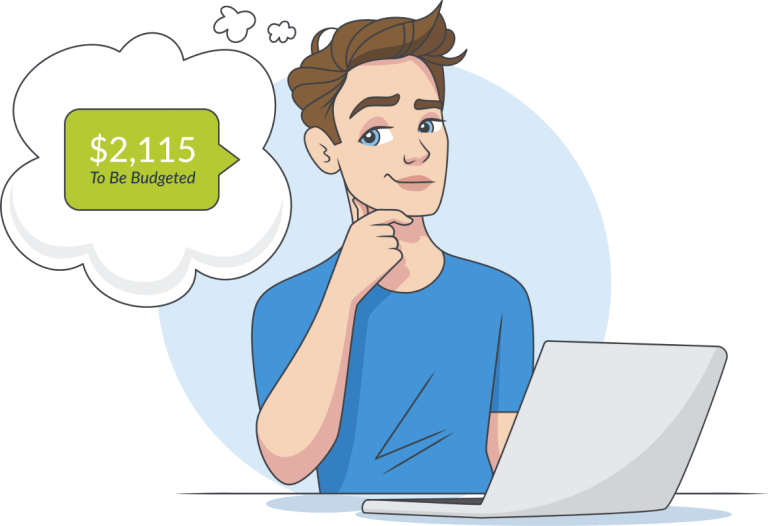 The current balance of money from your checking account (and any accounts you add) will show up in your budget as “To Be Budgeted”—the number in green, at the very top. This is the money you have to budget. 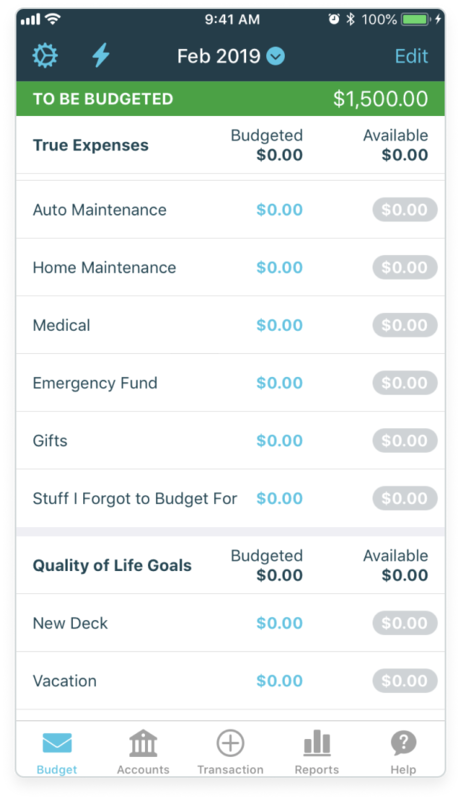 Ask yourself, “What do these dollars need to do before I get paid again?” Assign each dollar to a category until the “To Be Budgeted” number is zero. OK—now you know how much money you have to budget. Progress! But before you start deciding where the money needs to go, you need to make this budget your own. The default categories are simply suggestions to get you started. You can create whatever new categories to your heart’s content. 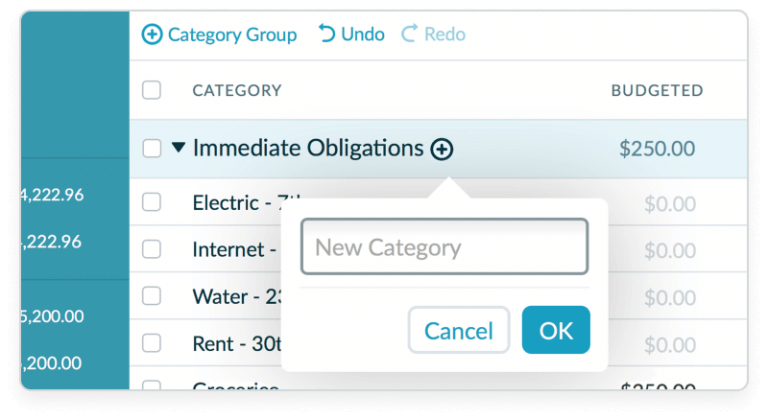 You can rename and reorder existing categories—or delete them altogether! Let’s say you want to budget $500/month for groceries, but you get paid twice a month, and because you have to pay your rent/mortgage on the first of the month, some of your grocery budget needs to come out of your second paycheck. 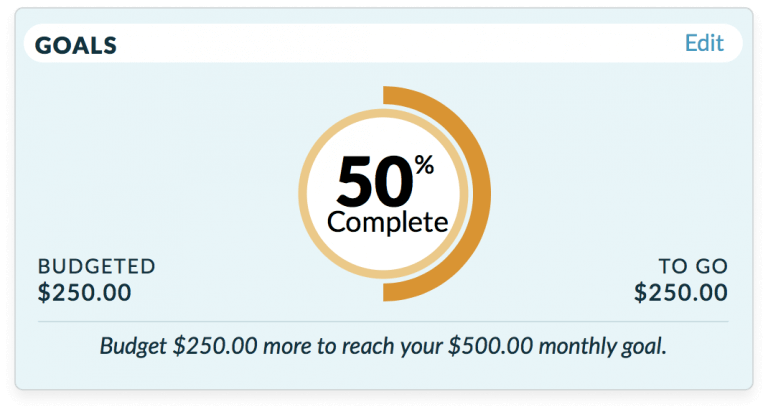 A monthly funding goal can help you be sure you can set aside the full $500. For example, you know you’ll need $600 for your car insurance premium, due in six months. YNAB can do the math (not that this is hard math, but still!) and remind you of how much you need to budget monthly. 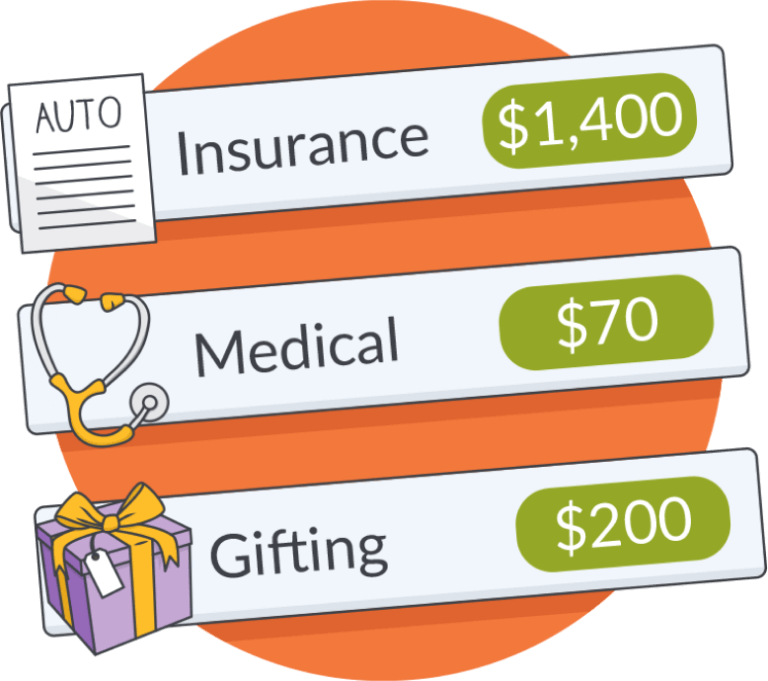 Every month, you’ll add $100 to your Car Insurance category, and as the months roll over, the money will stay in that category and build up. 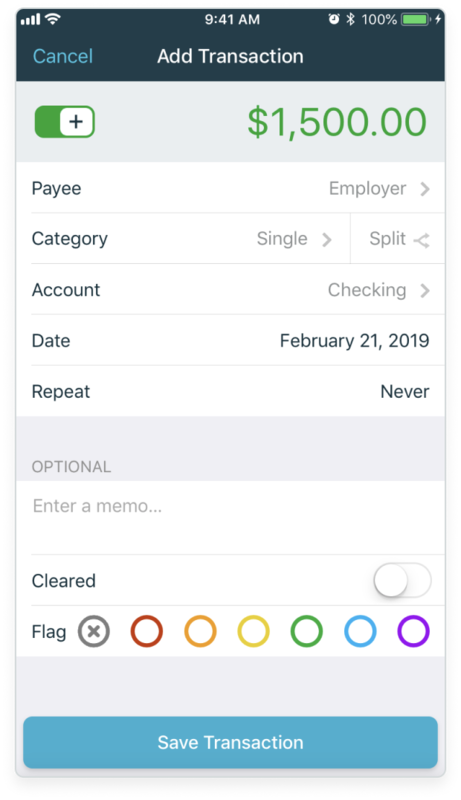 If the category is a bill, tap “Edit,” tap the category, tap “Rename,” and add the due date. This will give you a visual reminder of when it’s due. 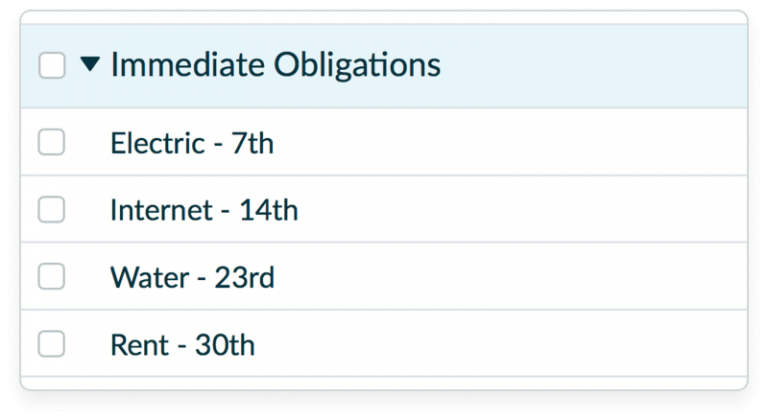 To neaten things up, drag all the bill categories into due date order. 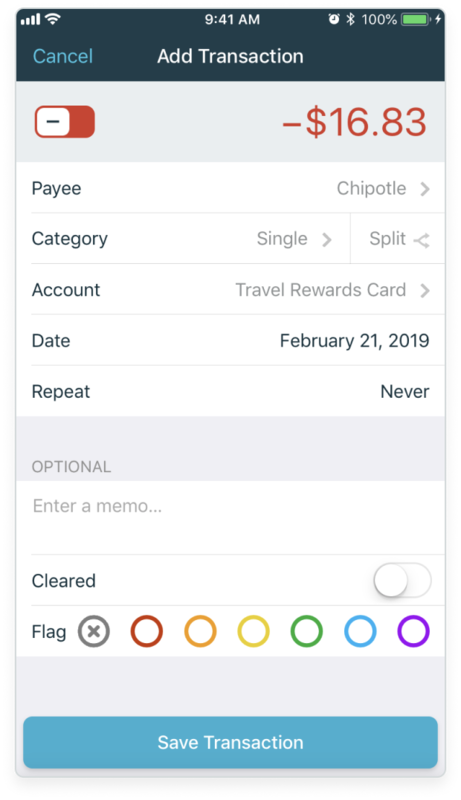 Any time you need to add a new category or group you can also do that by tapping “Edit”. If the category is a bill, click on the name of the category and add the due date. This will give you a visual reminder of when it’s due. 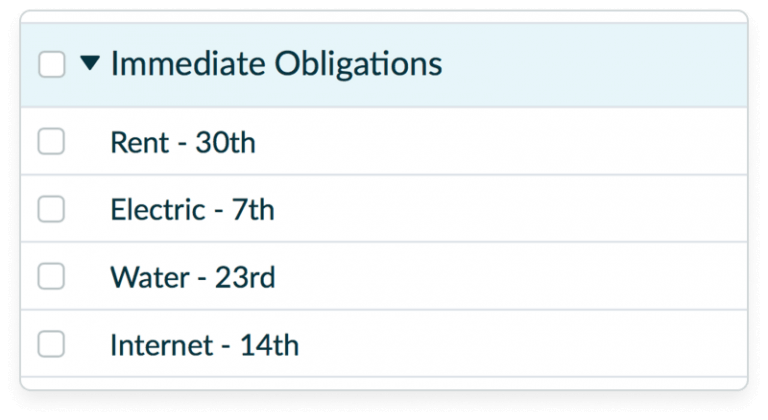 To neaten things up, drag all the bill categories into due date order. If you need to add a new category or group you can do that at any time. 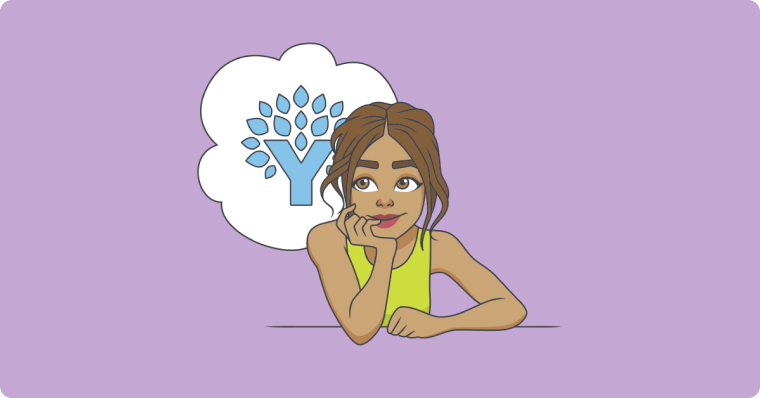 You had your primer on the YNAB method. You got your accounts squared away. 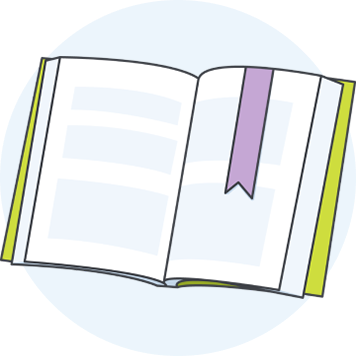 You’ve customized your categories and set some goals. Now it’s time for the main event—let’s assign those dollars! Start by budgeting for your most immediate needs—the roof over your head, keeping the lights on, that sort of thing. Which bills are due now? Budget for those things first. Maybe your car payment isn’t due until later in the month and you know you have another check coming in before then. Then, that one can wait. If you know you spend an uncomfortable amount of money on food (this, sadly, is also very normal), you don’t have to budget the whole amount in one sitting. Just think about how much you’ll need until you get paid again. Every time you get paid, you’ll go through the exercise of thinking through your priorities and giving your dollars jobs. So, there will be another opportunity, the next time you get paid, to put more money into the black hole that is food. 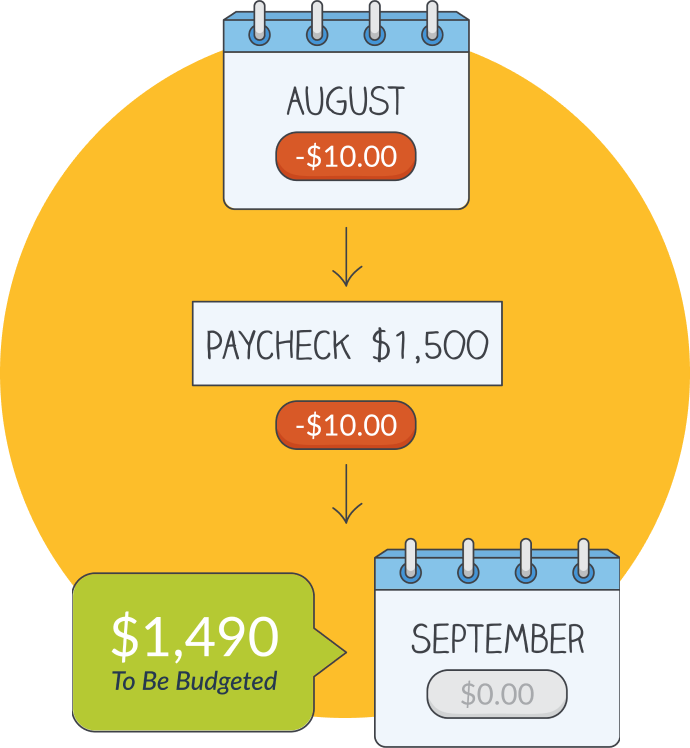 Once your immediate obligations are taken care, start budgeting for your True Expenses. Again, these are expenses that will happen, but they don’t necessarily happen monthly. You might not know exactly when they will happen or exactly how much they will cost—but you know they are coming. 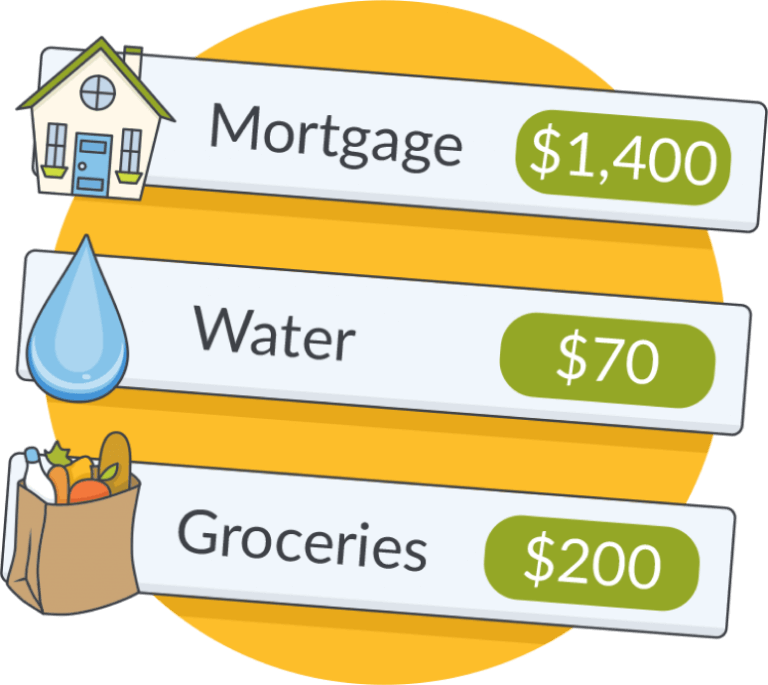 Set some money aside for these things each month and your money will build up in the category over time as you continue to budget. This may feel like a sacrifice at first. But the first time your car breaks and it doesn’t feel like an emergency because you have money just sitting there waiting to pay for it—boom! You’ll quickly become a believer! Build in some money you can spend however you want. Maybe it’s not a lot at first—but it’s something, and again, you’re building a habit. This is powerful stuff! Keep budgeting until the To Be Budgeted number is zero. 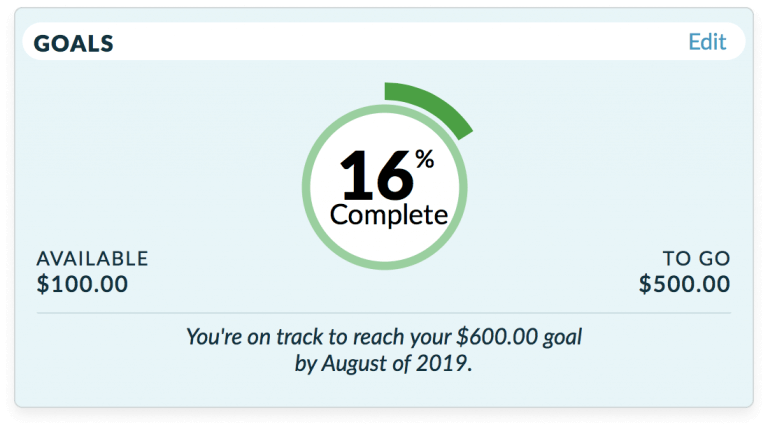 At zero, you have a plan of how you are going to spend (and save!) your money until you get paid again. Feels good, right? You have a budget! Great—but, now what? We thought you’d never ask! Because this is the moment where most people stumble. Anyone can build a budget, but can you use your budget? The answer is, “Absolutely yes!”—because we’re going to walk you through it right now. Use your budget. Trust your budget. And even if you can’t buy avocados this time around, you will live to see another day. 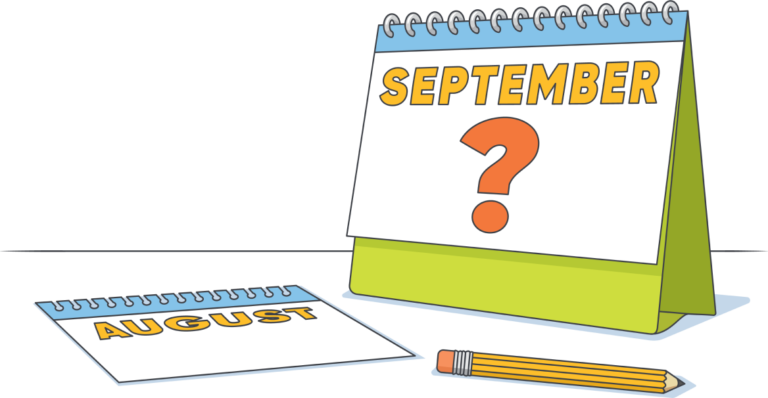 When things don’t go exactly as you planned (or as we like to call it, every month) you can adjust your budget. If you overspend in one category, you can poke around—maybe do a little math if you’re feeling like an overachiever—and decide what category you can raid to cover the overspending. Move money around. Problem solved. No big deal. You didn’t fail. This doesn’t mean you are horrible with money and you will die poor and alone. 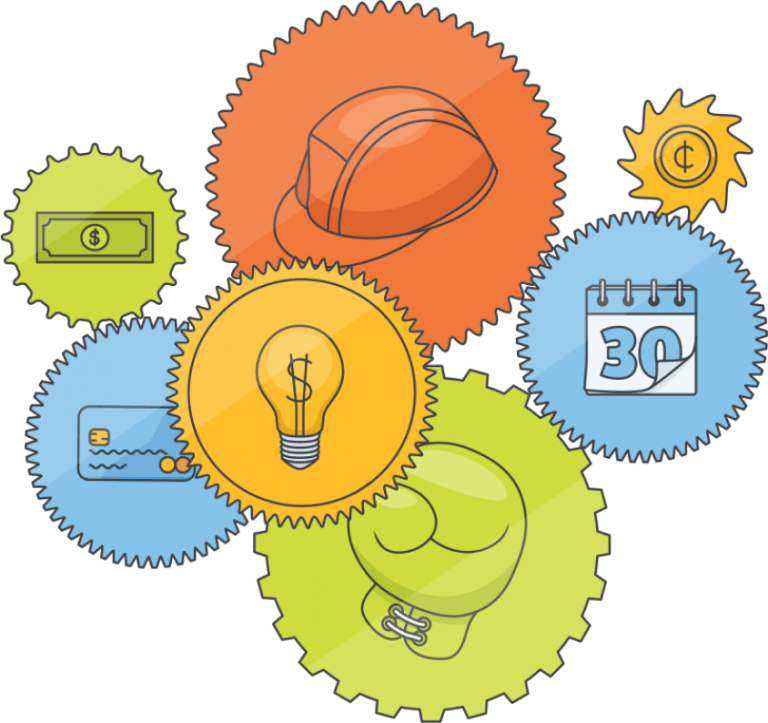 Moving money around and adjusting your budget actually means you are doing it right. You are aware. You are being proactive. You are budgeting! 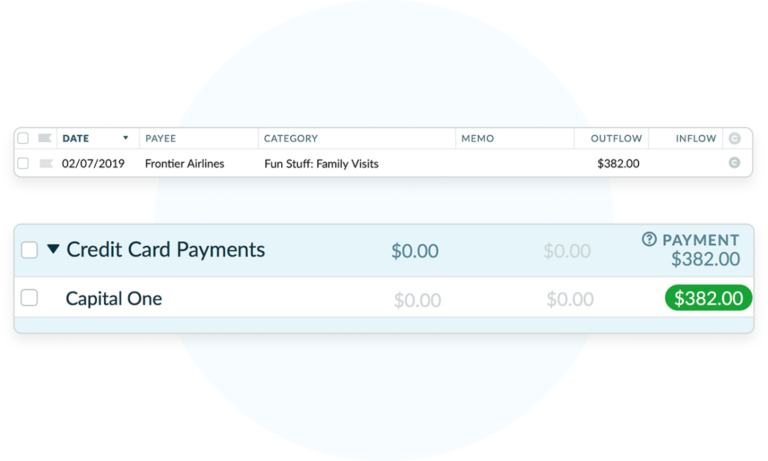 You can also enter transactions as you spend, from your phone or your computer—or a combination of both! 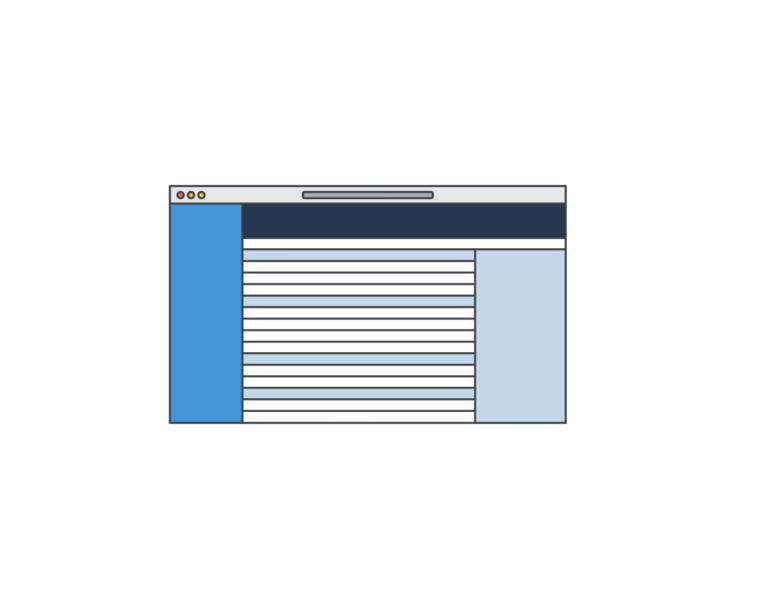 It only takes about three seconds, and it’s arguably the best method for optimal awareness and real-time status of your category balances. No waiting for transactions to clear the bank! Should I Import Automatically Or Manually? 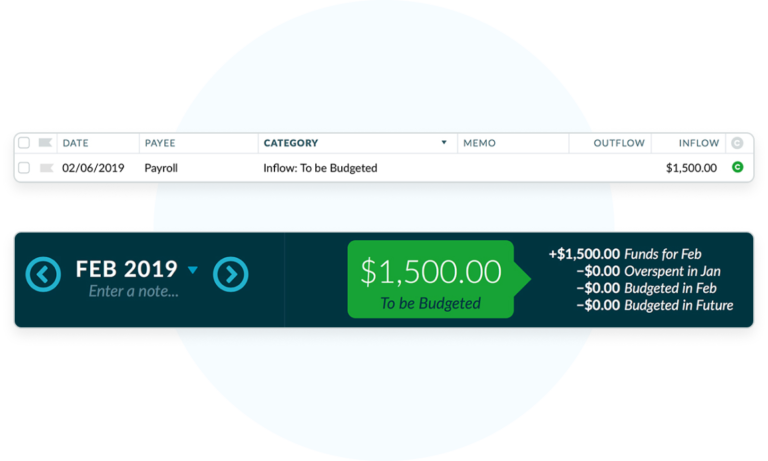 Entering transactions yourself offers heightened awareness and zero delay—your budget will always be completely up-to-date. 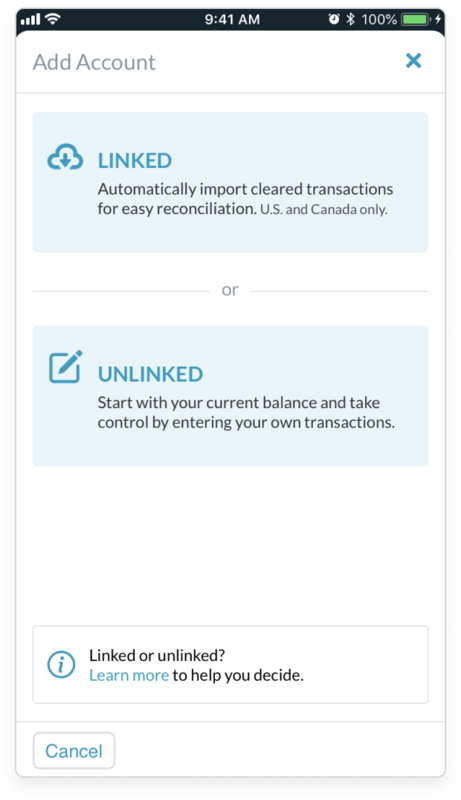 Direct import ensures you don’t miss a single transaction. There are benefits to both, so it really comes down to personal preference. But if you’re on the fence, you don’t even have to choose—you can do both! That gas transaction that you entered on your phone while standing at the pump? 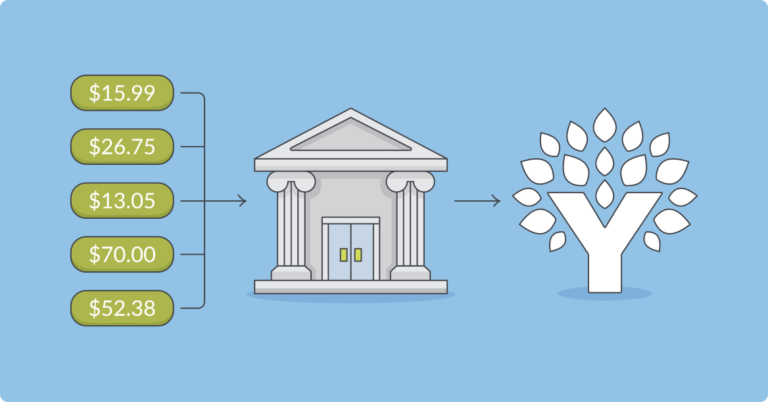 When it’s cleared the bank and imported, YNAB will match those transactions and make it simple to eliminate one. No duplicates. Super easy. So, what do you do if you are spending cash and the transactions never hit your bank? Good question. 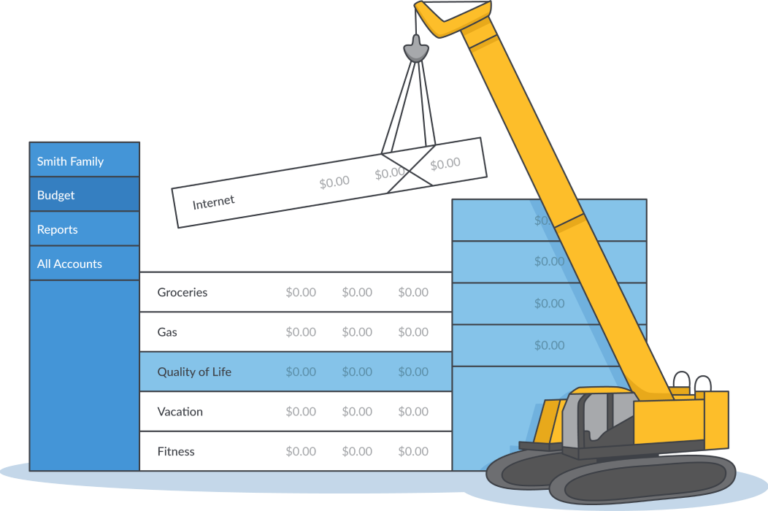 For most people, a cash category is the simplest approach. 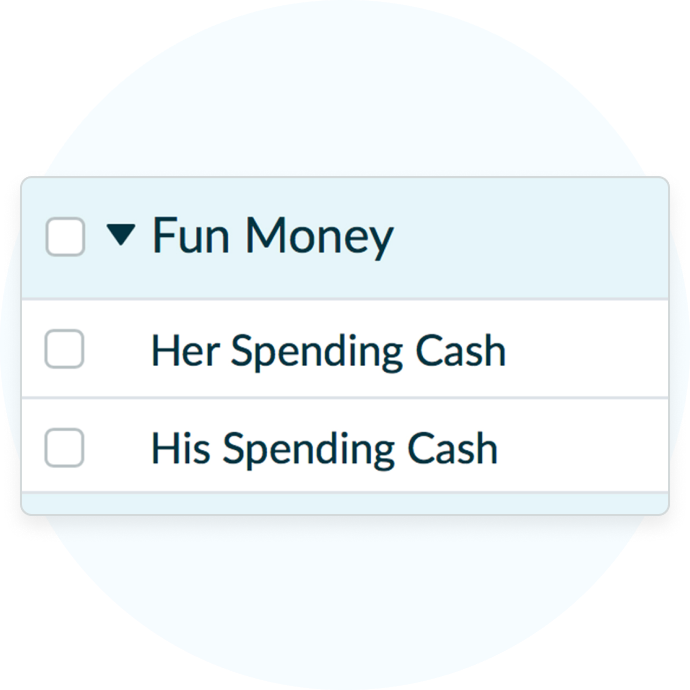 Create a category for cash spending, and budget to it. 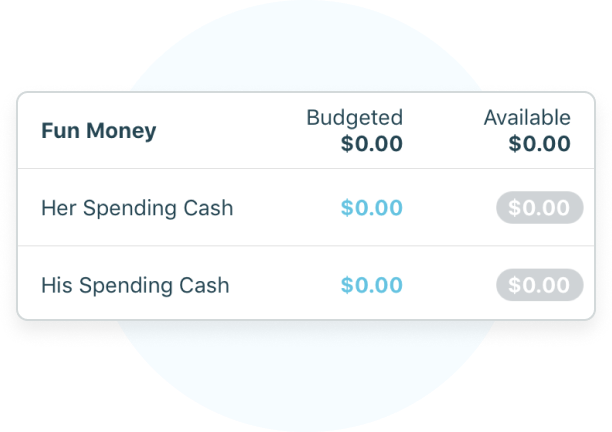 When you take money out of the bank, you’ll record it as spending to the cash category. 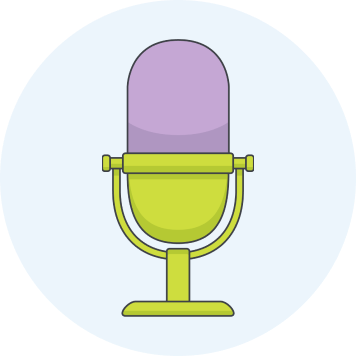 This way, the money is accounted for in the budget, but you don’t have to record every single cash purchase. Unless you want to…. You may use a credit card for a lot of your spending. As long as you you have budgeted for that spending with money you actually have, the method you use to pay for it is irrelevant. When you spend on your credit card, record the spending in the credit card account and categorize it appropriately. 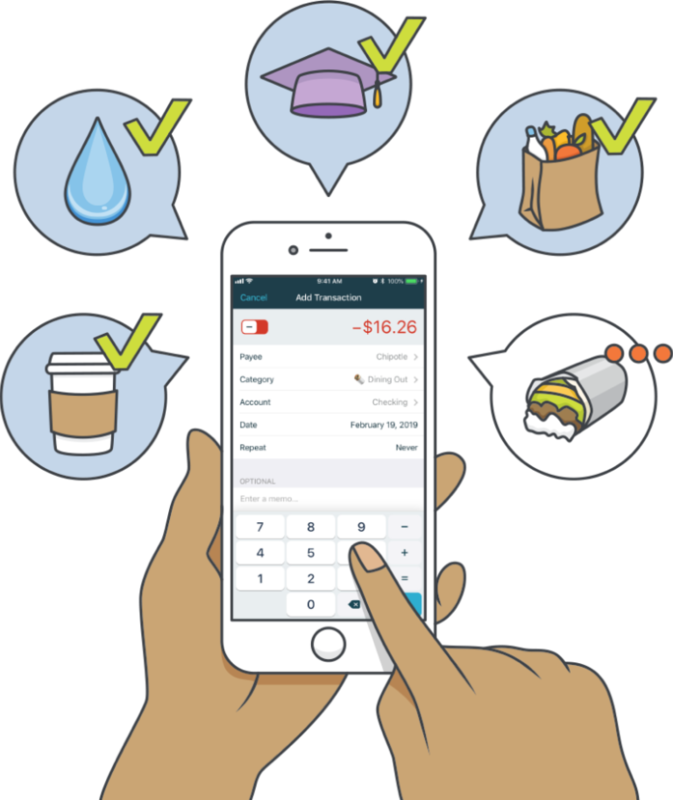 YNAB will know that you used a credit card and that you budgeted for that spending. 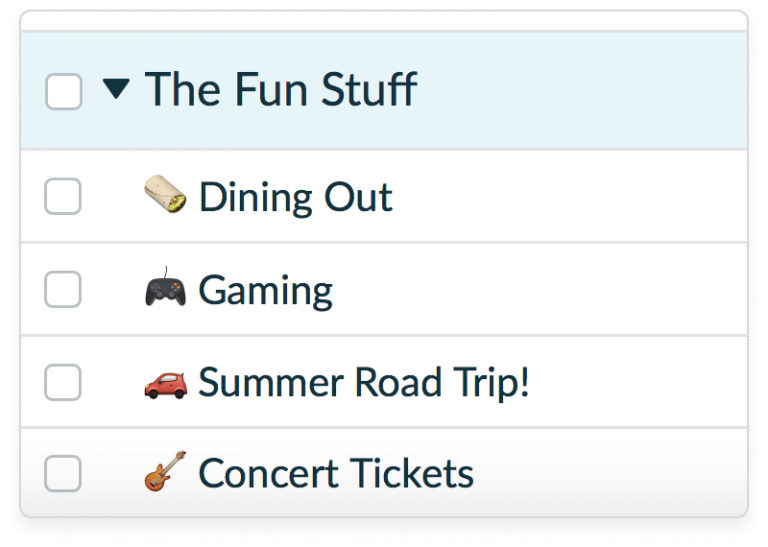 To make sure that money isn’t spent on anything else, YNAB will move it to the credit card payments category. At some point, you’ll get paid. Yay! 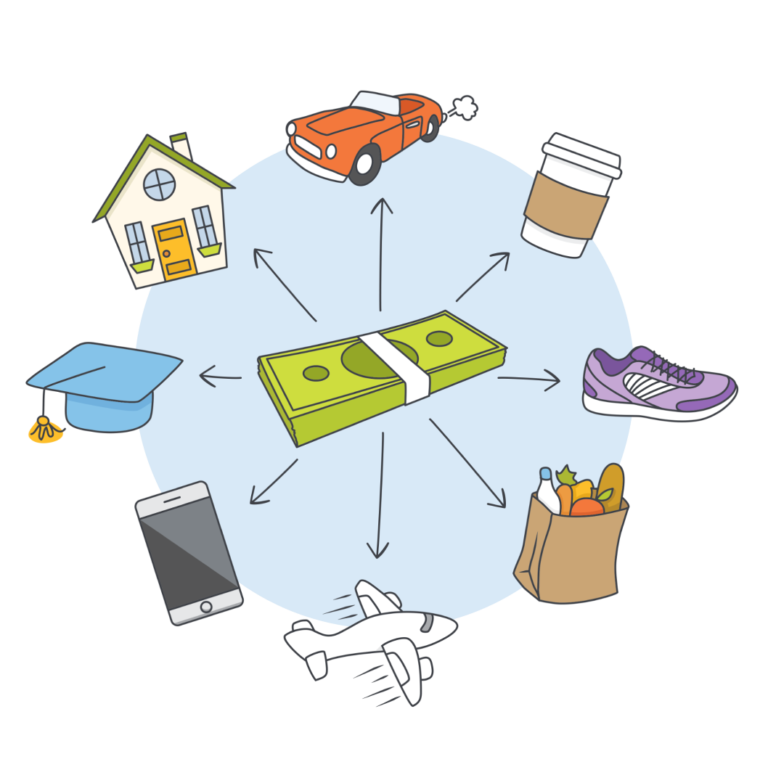 Once that money hits your bank, you can either enter it as a transaction, or if your accounts are linked, YNAB will import the transaction. Categorize those dollars to “To Be Budgeted” and the amount will appear as your new “To Be Budgeted” number. These are new dollars that need jobs. This is the fun part! 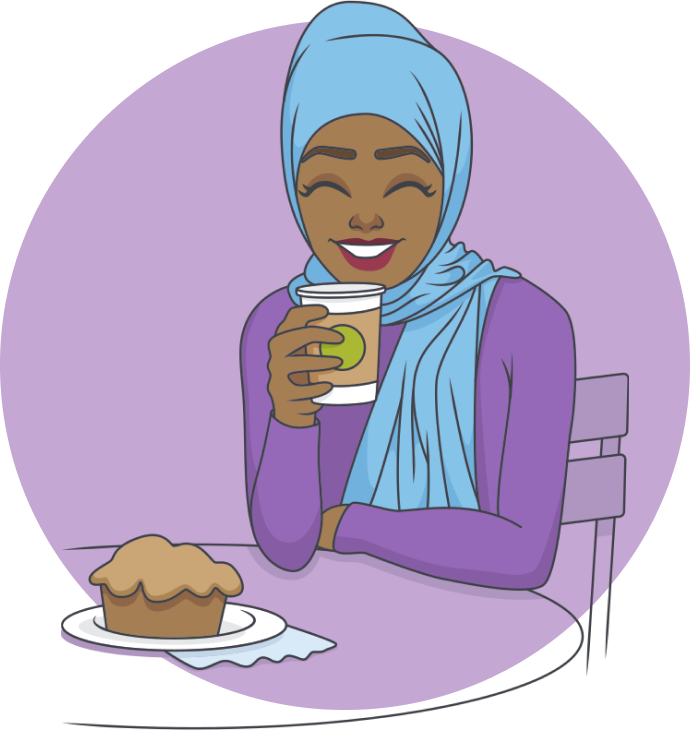 Ask yourself what these dollars need to do before you get paid again and assign dollars to categories like the budgeting master you’ve become. You can easily add more money to a category any time. Budget all the way down to zero. You’re doing it! Any money you had in a category will remain in that category as the month rolls over. Pretty simple. This one is important! If you had red overspending from the previous month that wasn’t covered, that amount will be subtracted from the To Be Budgeted number in the new month. That money was spent and it has to be accounted for. Let’s say you overspent your grocery category by $10 last month, but didn’t cover the overspending before the month rolled over. 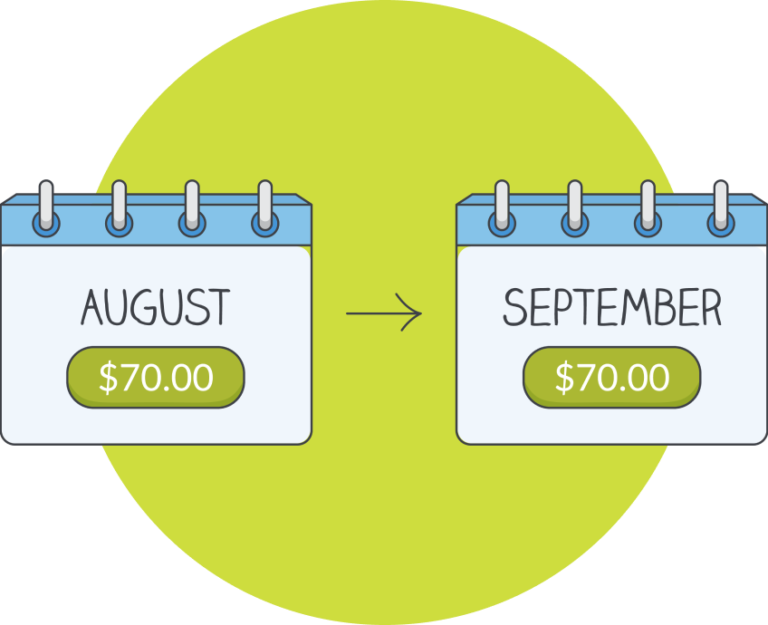 When you enter this month, that $10 overspend is subtracted from To Be Budgeted. This means your $1,000 paycheck becomes $990 available to budget (because $10 has already been spent). Every time you get paid, decide what those dollars need to do before you get paid again and give every dollar a job. Use your budget to make spending decisions. Before you spend any money, refer to your budget to remind yourself of the plan and what you have available to spend in the category at hand. When things don’t go as you planned, adjust your budget, move money around, and don’t lose any sleep over it. Before you know it, you’ll be budgeting in your sleep and feeling better about your finances than you ever thought possible! Go you!